These are some of the more recent creations of Jean Stark. This is a design that Jean created as a project for one of her first classes at her school in New York. The acorn pendant with a stone bottom and granulated cap was originally designed as a project for the Kulicke-Stark Academy of Jewelry Art. 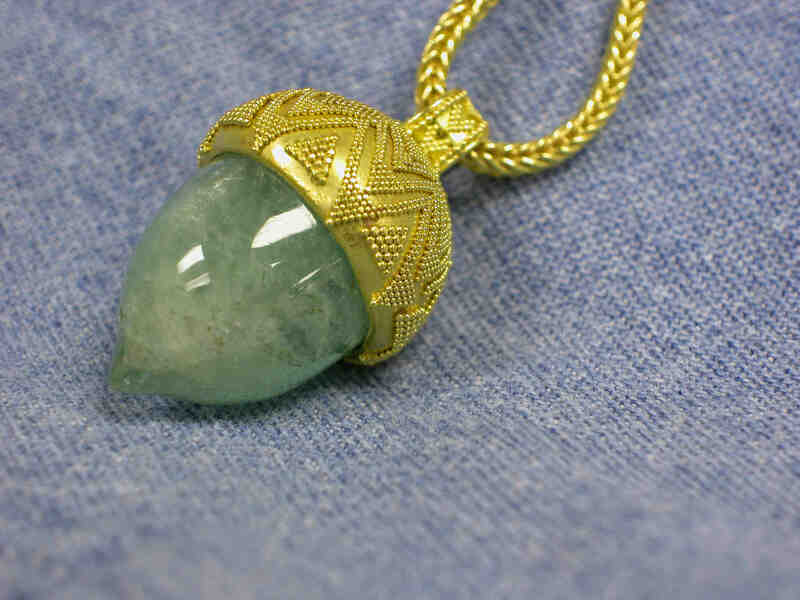 This one of emerald and 22k granulation, was a refined version done by Jean. The bottom is a very unusual and hard to find piece of emerald rough, cut like an Acorn. On my last trip to Brasil, the whole goal was to bring back a piece of rough so Jean could cut another emerald acorn. After a week of hunting, I was able to find only three pieces of emerald that were big enough to cut into an acorn. This is a DragonFly that Jean created recently. 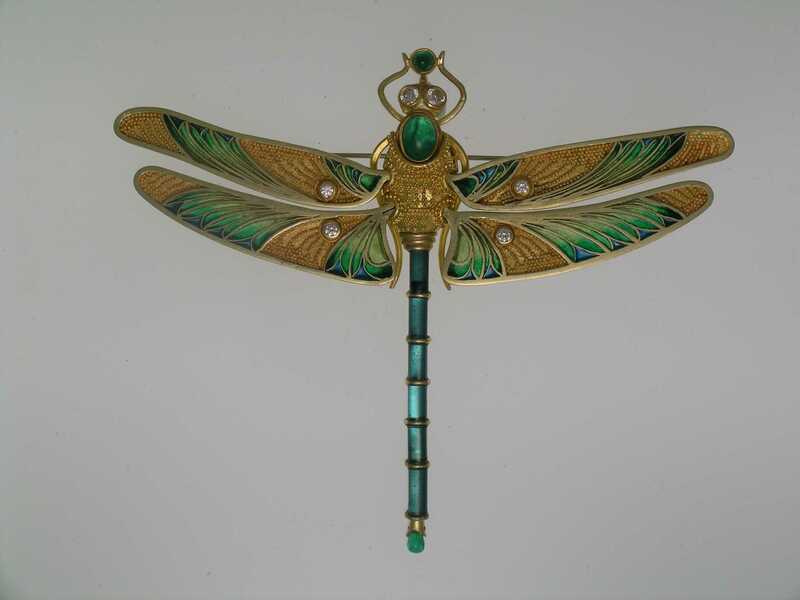 The dragonfly has an emerald body with granulation, plique-a-jour wings with granulation, indicolite tourmaline tail and diamond and emerald accents. It is about 3 1/2" wide.